ADG Youth Tournaments works with local authorities and businesses to host two tournaments a year for the soccer and basketball programs. Tournaments are supposed to be fun but kids and coaches are competitive. ADG understands that the competitve spirit will be alive and kicking during tournaments, however, we try to remind coaches that the point of ADG Youth Tournaments is to grow the athletic and teamwork skills among the children. 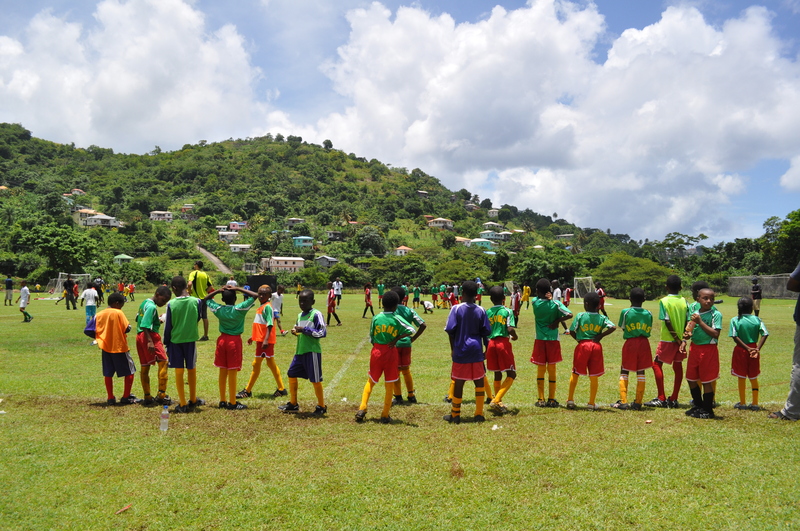 Youth Tournaments are also a chance for children to meet other Grenadian Youth from around the island. Tournaments are typically be held in September and April. Tournament fee for each team attending the tournament. Fees directly go towards projects for ADG. Fees are not funds to be used for profit. Tournament finalist will be given a prize through our sponsors. Past prizes included: Trophies, medals, digicel credit, cases of flavored water, coaching jersey and USA MLS gear. We do not offer cash prizes. Prizes are not guaranteed for the tournament but the more teams that participate the better the chance of a prize. Boys and Girls are encouraged to participate. Ages allowed are 8 – 16. Proper equipment is mandatory to play. ADG can provide shoes, socks and shorts for any child without proper equipment. Fields and courts are reserved through the Ministry.